Poking around on the internet the other day, I came across a blog called “The Mala Prayer Bead Project.” The blog, which just got started last December, is the work of someone who calls herself Joy Found. 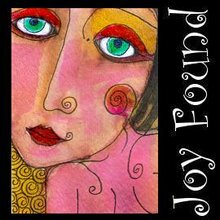 According to her profile, Joy is a 38-year-old single mother whose spirituality is a blend of eastern and western. She works as a multimedia artist and lives in Howell, Mich. The Mala Prayer Bead Project has three parts. First, Joy wants to make a “World Mala,” a Hindu/Buddhist string of prayer beads made from 108 beads contributed by 108 different people from around the world. She is also conducting an international “bead swap” for people who want to make their own malas or other form of prayer beads from beads given to them by others from far away. The third part of her Mala Bead Project is a personal pledge to make one mala each month of this year and give it away to someone in need of the comfort of prayer beads. I encourage you all to visit this site and read the posts. Joy promises to post pictures of the World Mala as it grows.